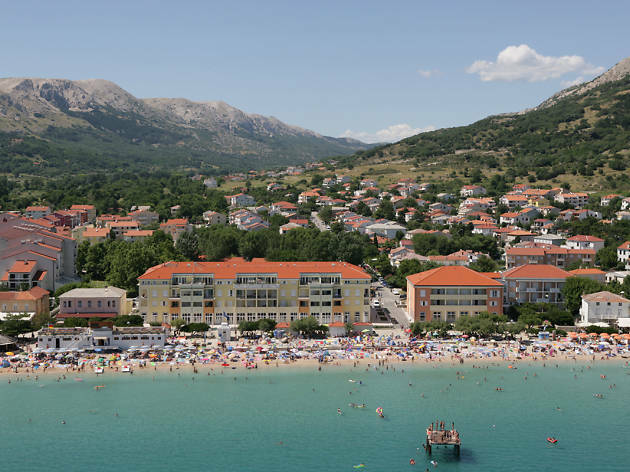 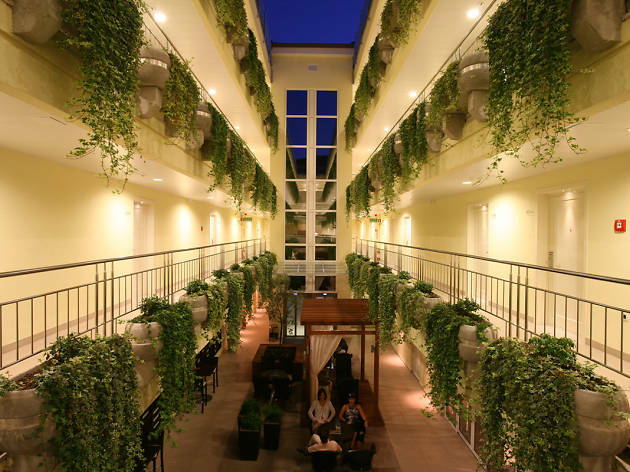 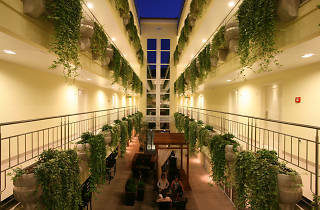 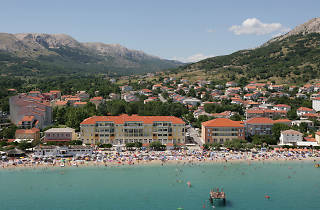 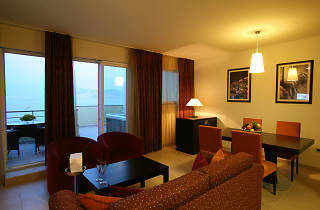 The most luxurious lodging in Baška. 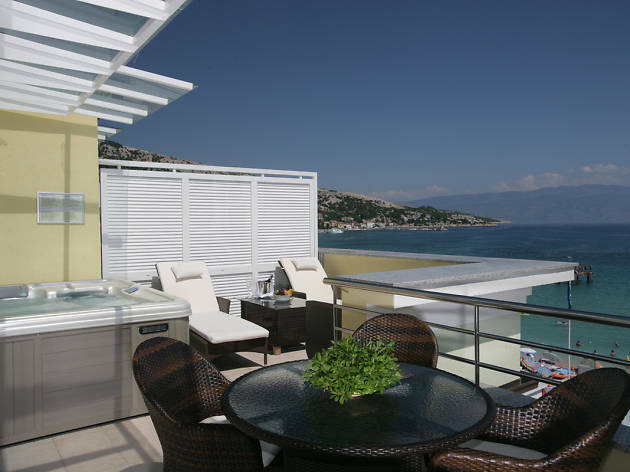 As close as you can get to the water without swimming in it, this quality establishment offers quiet rooms to the rear and five-star ones facing the sea. 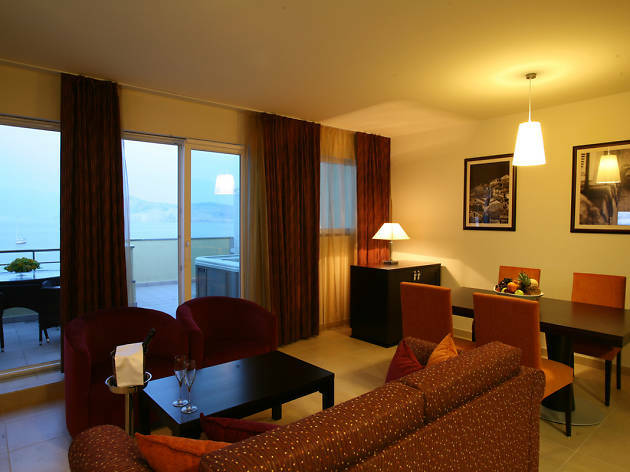 Most units are fixed up as studio apartments or suites, with kitchenettes and varying degrees of luxury. 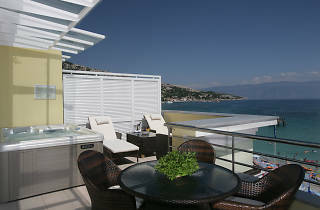 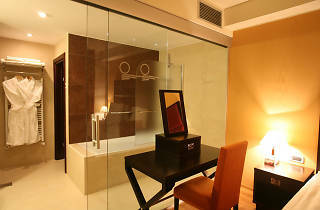 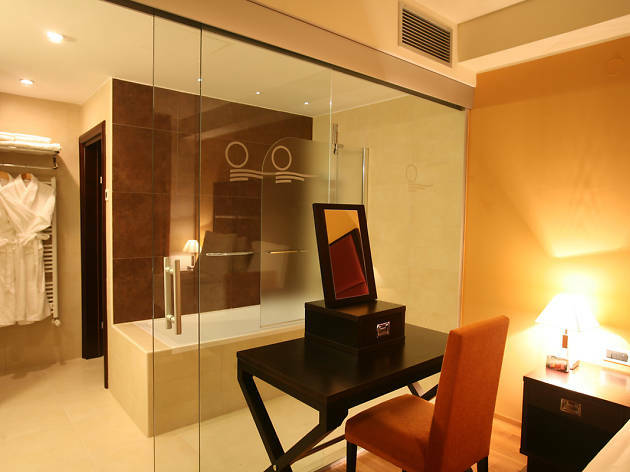 The best have more than 100 square metres of space, in-room saunas and outdoor jacuzzis on spacious private balconies.